Bored with the old check designs you always order? 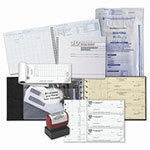 Now you can see the latest designs from many different check printing companies. Art work is constantly improving and continues to grace the faces of your personal checks. Without the husband, life is crap, according to one of the newest personal check designs available. Or stylish daisies chasing each other across a pink check. The well-recognized Peace symbol all done up in colorful flowers is another choice and very germane to the times. Double the fun with Funky Frogs in tandem with rubber duckies or enjoy a set of African Savannah checks that poise a silhouetted giraffe against a glowing sunset. A childlike compilation of trees, birds and flowers on the checks in your checkbook would be daily reminders to see the world through the eyes of a child, but for amore grown-up view, there are Butterfly Swirls in blue and green tracery buy Lorrie Weber. We are adding to this collection so be sure to check back frequently for new updates.